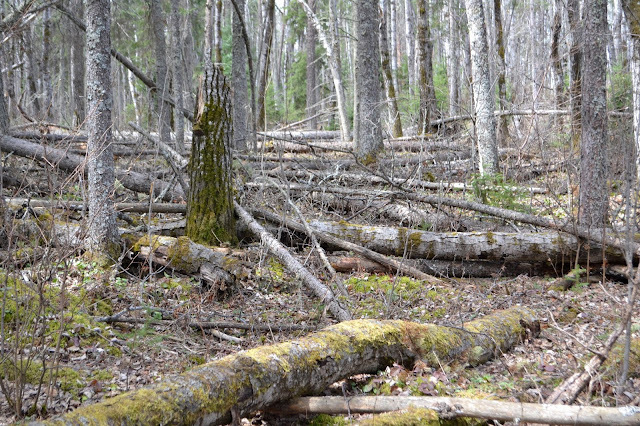 Trees downed in a fierce windstorm in Duck Mountain forest, Manitoba, Canada. Canada is doing too little to combat climate change, a parliamentary report warned Tuesday, a day after government scientists warned the country was warming at twice the global rate. Story here.